Samsung Galaxy Note 7 Settings Wi-fi - The Samsung Galaxy Note 7 is a smartphone with wide range of function. Most Note 7 features of the Note 7 Samsung can only work well when it is connected to a network. When the Samsung Note 7 has a problem related to Wi-Fi connection, it is important to find out the solution to make it possible to connect. When Wi-Fi is connected, active, and communicating with a wireless Access Point, Wi‑Fi active is displayed in the Status bar. If a Wi-Fi access point is available, but your device is not connected to it, Wi-Fi available is displayed. It may also display if there is a communication issue with the target wireless Access Point. Check all the connection to and from your router and, if available, your high speed modem. Turn off the Wi-Fi router and high-speed modem. If your router or modem doesn’t have a power switch, disconnect the power cord from the back. Wait several minutes, and then turn on the router or modem (or reconnect the power cord). Open the Wi-Fi settings menu, and then turn the Wi-Fi off, wait for a moment and then turn it back on. On the mobile device, attempt to connect to the Wi-Fi network. From the Samsung Note 7 Home screen, touch App. Touch the slider to turn Wi-Fi on. If there’s a connection problem, turn off Wi-Fi, and then turn it back on. Touch the network you want to connect to. If the network is secured, enter a password. Touch ‘show password’ to display the password as you type then touch Connect. Open the Quick Panel by swiping your finger from the top of the screen to the bottom. Touch the Wi-Fi icon to turn it on or off. You can change the Note7 Wi-Fi settings, touch and hold the Wi-Fi icon in the Quick Panel to access the Wi-Fi settings menu. When the Wi-Fi is on, you can see all available network that you can connect to. Input Note 7 in the accuracy of the password you enter when connecting to a network. If your Note7 receive the message “incorrect password” or the Samsung Note 7 “Authentication error occurred,” it means the password may have been entered incorrectly. That is why there’s a menu button to let you know what have you typed when entering password by touching Show Password to display the password as you type. If you are unable to connect using the password, verify the network settings for your router. Overall, if you still experiencing problem connecting your Note 7 to your Wi-Fi network, attempt to connect with another Wi-Fi device. If neither device can connect, contact the device manufacturer or internet service provider to find further solution. Before that read the Samsung Note 7 Tutorial Back up and Reset. Swipe your finger from the top of the screen. Touch the Wi-Fi Note 7 icon and hold for a moment to enter the Samsung Wi-Fi settings menu. 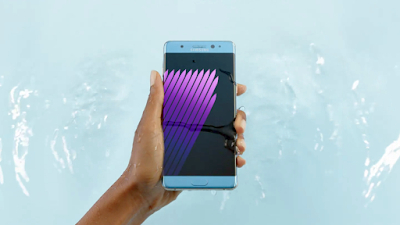 Turn on the Note7 Wi-Fi, then see the available network. Touch the network you want to connect to. enter the required password and then tap connect. If you are not redirected to the web automatically, touch App>Chrome. Follow the directions on the authentication page to connect to the public network. Show Wi-Fi pop-up: Receive a pop-up when opening apps if a Wi-Fi network is available. Wi-Fi notifications: Receive notifications when Wi-Fi networks in range are detected. Hotspot 2.0: Automatically connect to Wi‑Fi access points that support Hotspot 2.0. Manage networks: Manage your saved Wi‑Fi networks. You can dial the emergency telephone number in your region regardless of the phone’s cellular service status. You can dial the emergency telephone number from your Galaxy Note7 smartphone whether or not cellular service has been activated. You can use Note 7 wifi calling too. If your phone is not activated, you can only make an emergency call. 1. From a Home screen, tap Phone. 2. Enter the emergency telephone number (911 in North America) and tap Call. 3. Complete your call. During this type of call, you have access to most in-call features.